Sterling Meadows presents two new communities that are now selling. 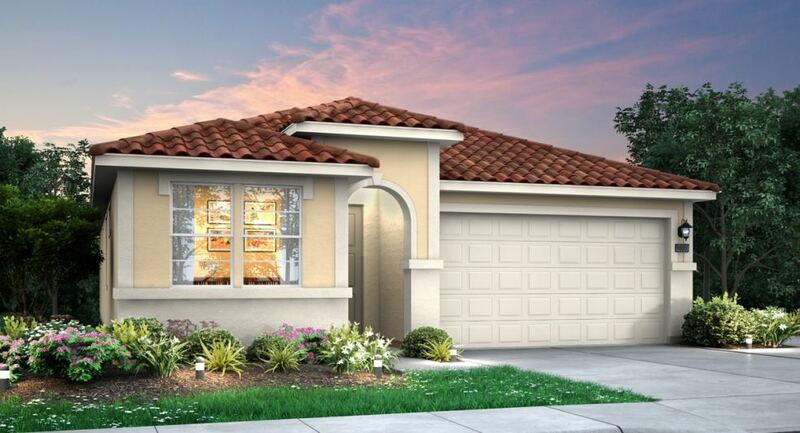 ELK GROVE, Calif. - April 24, 2018 - PRLog -- Lennar is excited to bring two new communities to the Sterling Meadows masterplan in Elk Grove. Both Montage and Indigo at Sterling Meadows are now selling, providing homeshoppers with the opportunity to purchase early at pre-model prices before the Grand Opening this June. "This is a great chance for homeshoppers to save on their new home and select their preferred homesite before the rush of the Grand Opening," said Michelle Velky, Vice President of Sales and Marketing for Lennar Sacramento. "We're offering new, contemporary floorplans at these two communities, which also enjoy a great location in family-focused Elk Grove with access to great schools." Montage at Sterling Meadows offers homeshoppers four distinctive home designs to choose from available in both single and two-story designs. These new homes range in size from approximately 1,969 to 3,033 square feet of living space with three to four bedrooms and two to three-and-a-half bathrooms. Prices start from the mid-upper $400,000s. At Indigo are four more unique floorplans to choose from. Both single and two-story homes available, these homes range in size from approximately 1,603 to 2,617 square feet and provide three to five bedrooms and two to three bathrooms. New homes for sale at Indigo are priced starting from the low $400,000s. Each of the new homes at Indigo and Montage showcase Lennar's Everything's Included® package, which includes a high level of standard features and upgrades at no additional cost. These include granite or quartz countertops, stainless steel appliances, high-quality cabinetry, solar, the latest in popular home automation products and technology along with so much more. Lennar is also the first builder to introduce Wi-Fi CERTIFIED® home designs. These homes incorporate built-in wireless access points throughout the home that result in strong internet coverage throughout every room of the home. Lennar is now preselling for these two communities out of the Cambria at Fieldstone Welcome Home Center, located at 10044 Lorae Court in Elk Grove. Visit www.lennar.com/sacramento or call 926-905-1624 to schedule an appointment or for more information.